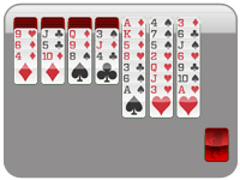 Wasp's sting is getting a bit more intense with this brand new solitaire game from Solitaire Time! 2 Suit Wasp Solitaire packs a punch with this Wasp Solitaire game played with two suits. A bit more difficult than 1 suit wasp solitaire, this solitaire game is here to take your wasp solitaire up to the next level, on your way to becoming that ultimate Wasp Solitaire champion with 4 suit, but let's not get ahead of ourselves! 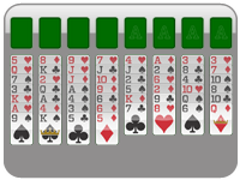 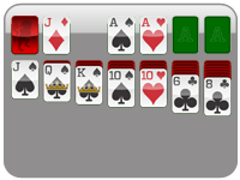 This 2 Suited version of Wasp Solitaire is lots of fun and has all the difficulty you'll need right now! 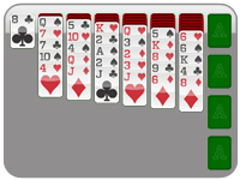 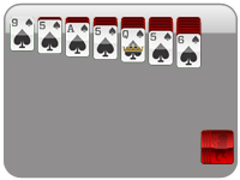 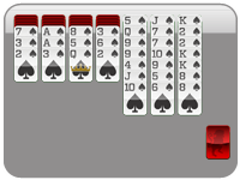 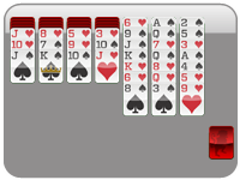 Play Wasp Solitaire 2 Suit by arranging the cards so that you get a full stack of of one suit King decending to Ace. 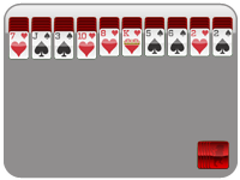 When this is created, the stack will disappear from the board. You may stack cards just like in Spider Solitaire by also stacking in alternating color downward. Correctly arrange and remove all the solitaire stacks from the Wasp Solitaire board to win! 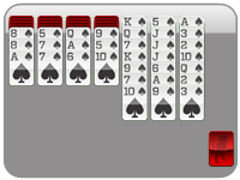 2 Suited Wasp Solitaire is the medium version of the popular Wasp Solitaire card game! Wasp Solitaire is much like Spider Solitiare. 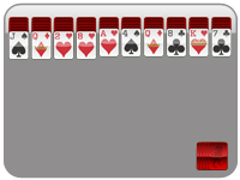 Stack cards any way you want, just in descending order. 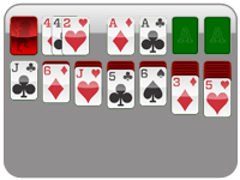 You may move any stack at any time regardless of whether the stack is only of one suit, like in spider solitaire.